The National Association of Charter School Authorizers (NACSA) will not renew their membership in the American Legislative Exchange Council, the organization said in a statement released on Tuesday. NACSA is the third major educational organization to drop their association with ALEC, joining Kaplan and the National Board for Professional Teaching Standards. Rather than proposals designed to improve our public education system, ALEC’s model bills instead transfer public education funds into the hands of private corporations. Such proposals include voucher programs and publicly funded subsidies for religious and other private schools. 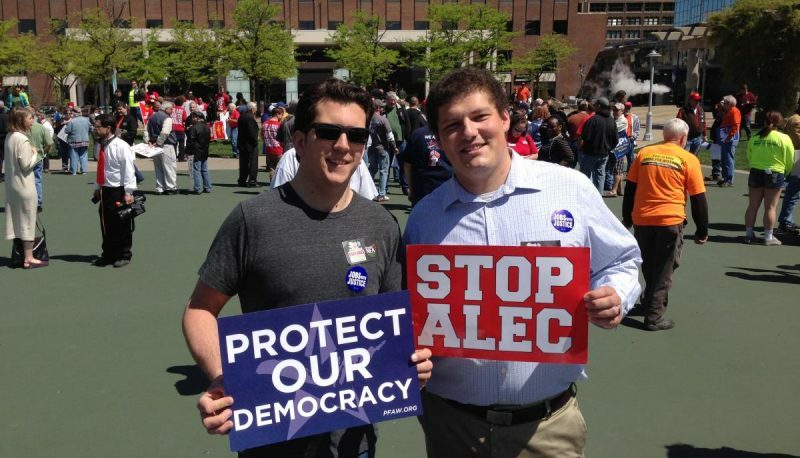 ALEC’s Education Accountability Act would allow a state to override the elected school board and declare schools “educationally bankrupt,” then divert its funds to private schools. Of course, ALEC’s assault on public education wouldn’t be complete without attacks on teachers, school personnel and basic educational standards. 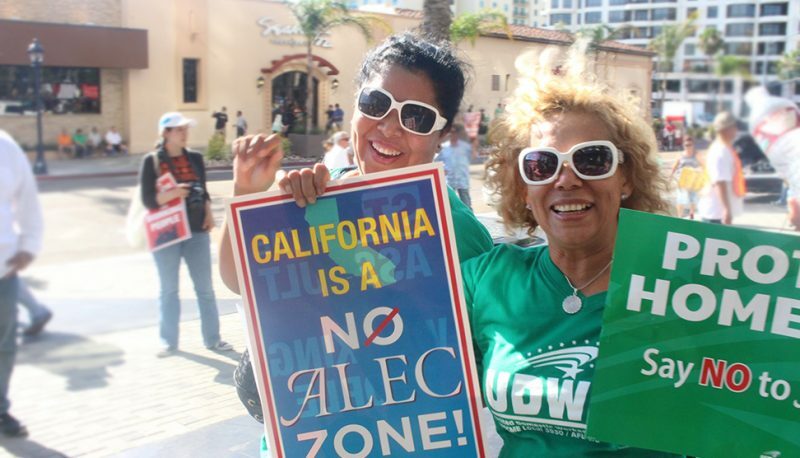 Just as important, there was never a legitimate reason for NACSA to support an organization that promotes legislation that attacks working families, rolls back consumer rights, blocks access to courts of law and disenfranchises thousands of eligible voters. 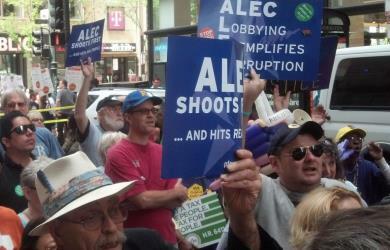 It’s not surprising that NACSA and other educators have concluded that ALEC is far more trouble than it’s worth.